Taekwon-Do originated in Korea following World War II. The late General Choi Hong-hi, the “Father of Taekwon-Do,” was an early figure in Korean martial arts. He also was one of the founding members of the South Korean army, where he used his experience in Karate and ancient Korean fighting styles to scientifically develop a martial art that was uniquely Korean. A panel of Korean martial artists chose the name “Taekwon-Do,” submitted by General Choi, on April 11, 1955. Succinctly put, Taekwon-Do is a blast. The physical training helps to promote all-around fitness and a healthier lifestyle, and students will notice increased vitality and lower stress as a result. Additionally, the discipline and character development will also extend to all facets of life and undoubtedly follow students during the rest of their lives. Finally, Thames Valley Taekwon-Do exists as a club for the mutual support and benefit of its members. Camaraderie and team spirit are also a huge element. Thames Valley Taekwon-Do exists as one club of many practising the same style of Taekwon-Do across the nation and world, meaning besides offering advancement in an art that is internationally recognised, seminars, tournaments, and workshops also offer students the opportunity to travel. Apart from kicks, punches, strikes, and blocks that make up fundamental exercises, Taekwon-Do includes patterns (prearranged sets of movements that simulate a fight), sparring (step sparring and free sparring), breaking (of boards and tiles), and ho-sin-sul (practical self-defense). In addition to focusing on all around physical fitness, high moral standards, character development and discipline are also vital parts of Taekwon-Do training. Loose, comfortable clothing is best – eg tracksuit and T shirt – and we generally train in bare feet so no shoes or socks. You will also need to remove all jewelry, piercings and sharp items. Having had a small snack for energy prior to training, it’s always best to bring a sports drink, preferably water. You might also bring the completed registration forms and photos if you already have them – this saves a lot of unnecessarily wasted time. Can I just sit and watch the training before I start? Yes, absolutely! 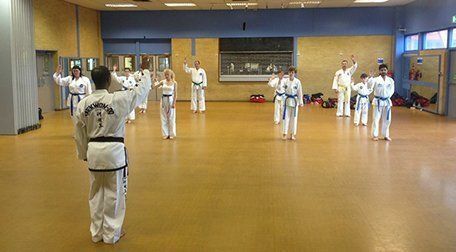 As frustrating as it might seem if you’re really keen to start training it’s always recommended to observe a class before you begin training. You can also take the opportunity to ask the instructor any specific questions you may still have, or even speak to some of the other students. Do I need to pay to get into the sports centre? No, the entry fee for all venues is included for our students within the monthly training membership fees for the school. Do I need to fill any forms out? Not if you are just there to watch, but if you do wish to start training you will need to complete the required registration forms. If you bring the completed registration forms and photos with you this saves a lot of unnecessarily wasted time. Do I need to be in great shape before I start? No, but we can certainly provide the right environment to help you get there! 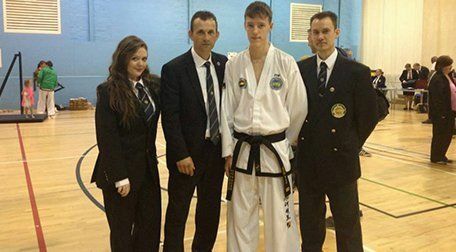 There’s something for everyone in Taekwon-Do, no matter what their natural talent level is. We do recommend that prospective students check with their GP to verify they’re healthy enough for the physical activity that Taekwon-Do entails. No! No martial arts experience is required. However, anyone who does have previous martial arts experience is, of course, welcome to join. Can my children do Taekwon-Do? 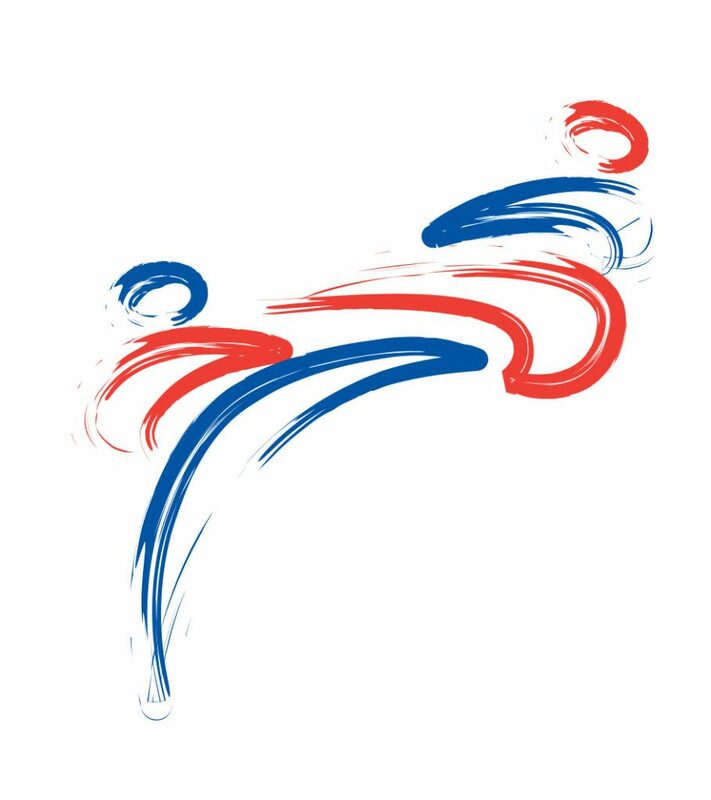 All children from the ages of 5 upwards are welcome to train at Thames Valley Taekwon-Do. 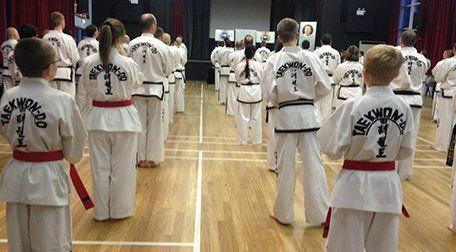 Taekwon-Do is great for helping promote discipline, fun, exercise and team spirit. What if I have rank from previous martial arts experience? 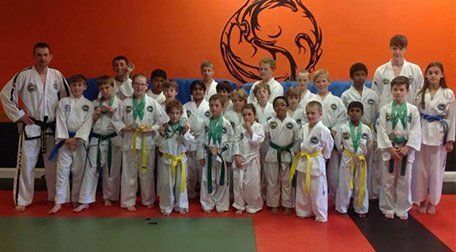 All students with color or black belt ranks from ITF schools will be recognized provided they submit a copy of their ITF membership card and a copy of their most recent rank certificate. Students with colored belt rank from recent participation in other styles of Taekwon-Do generally will be allowed to keep their rank with the understanding that advancement will only occur when the student has fulfilled all requirements and learned all material up to that rank. Such students will need to submit a copy of their most recent rank certificate. 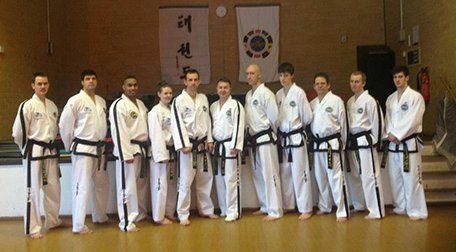 Students with black belt rank from other styles of Taekwon-Do (other than ITF) will be handled on a case by case basis. Students with rank from other martial arts (other than Taekwon-Do) will be required to start at white belt. Right now. Fill out a contact form opposite and make the decision when to start! We look forward to seeing you at training soon.